A resident holds a can of water donated by the Anheuser-Busch company. 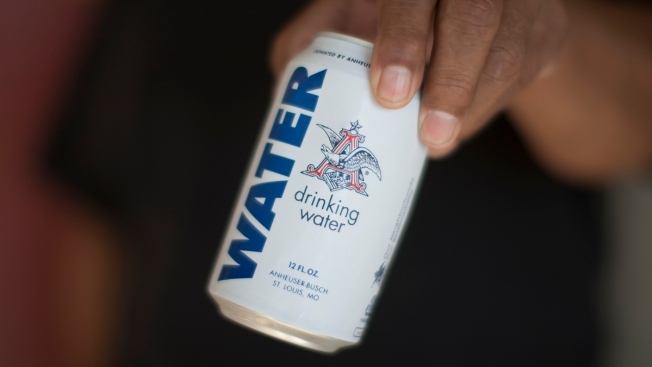 An Anheuser Busch plant in northwest Georgia has started canning water instead of beer to help flood victims in Texas and Oklahoma. Cartersville brewery manager Rob Haas told NBC News the brewery has participated in similar initiatives in the past, including during the Northeast's recovery from Superstorm Sandy.